Paul’s company, Meadow in my Garden, is a community interest company based in Devizes, with a love of nature. 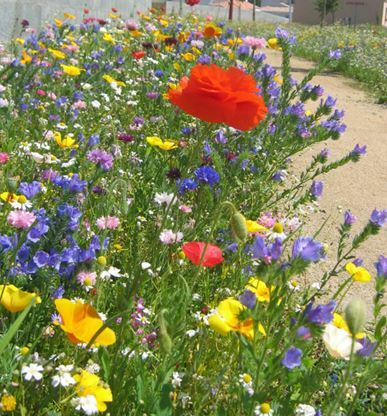 Their seed mixes aim to transform any space, creating a magnificent patchwork of colour throughout the summer. They care about our world and want to do everything they can to help more people grow wildlife friendly flower meadows. Paul will tell us how to do this. Do come and join us. All are very welcome. Lifts can be arranged, please ask.